Perfect unit for the Queensland Lifestyle - 2 expansive covered outdoor areas & air-conditioned lounge & main bed for the hot summer days. will also enhance this location offering more boutique shopping and a 10 cinema complex. Both bus and train transport are just a short stroll away. If you are keen on some exercise, the Brisbane CBD is just 5km walk away. 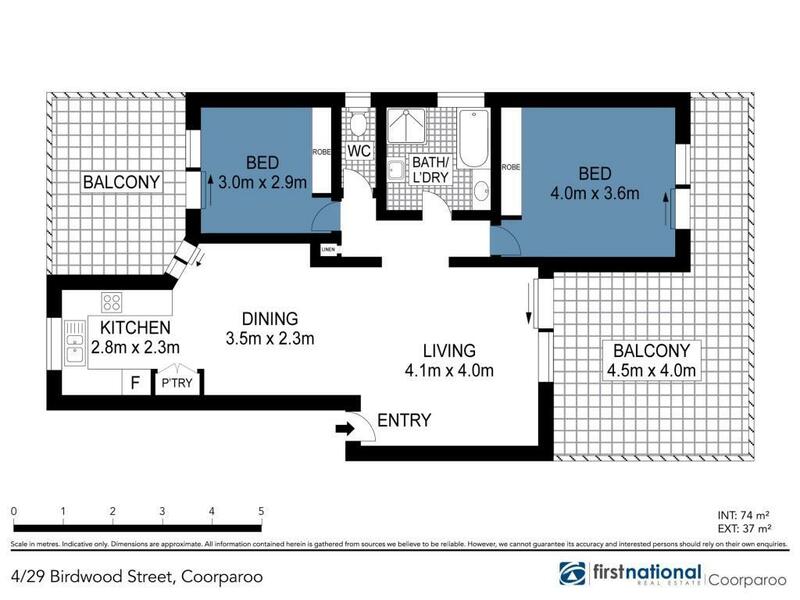 This apartment would be a great starter or make a solid investment for the astute investor, as it is currently rented for $370.00 per week. - Bathroom with separate shower & bath and also houses the laundry. - Kitchen with stainless steel appliances. - Spacious lounge leading out to expansive covered balcony. - Separate tiled dining with access to the back covered balcony. Body Corporate fee $1,980 per annum.